Christopher Comstock (born May 19, 1992), known professionally as Marshmello, is an American electronic dance music producer and DJ. He first gained international recognition by remixing songs by Jack Ü and Zedd, and later collaborated with artists. 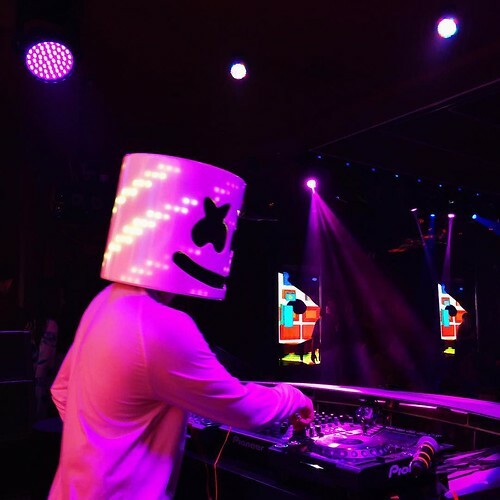 After his latest hits with Selena Gomez, Khalid or Bastille, Marshmello now publishes the song ‘Here With Me’ with the collaboration of CHVRCHES. This song is officially described as a luminous pop collaboration. This collaboration between them is the first preview of Marshmello’s new album. The song was created halfway between the Glasgow band and the well-known DJ. Watch the video ( Marshmello – Here With Me ) and tell us what you think!